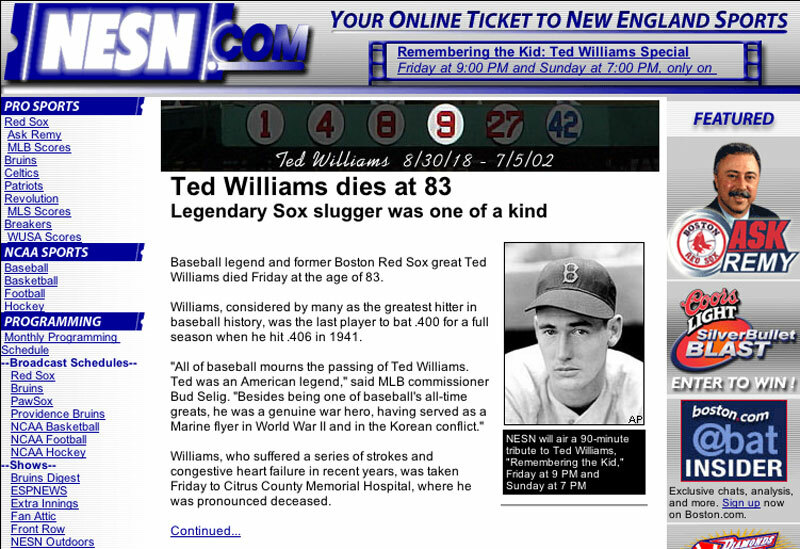 Shortly after being hired by NESN, I initiated a website redesign. This included re-architecting the site from the ground up to use a home-grown content management system. All content was reorganized to fit into a more hierarchical schema than the previous iteration of station's online presence. Online promotions tied to the on-air Red Sox and Bruins broadcasts were key to moving this website into the realm of interactivity with the television audience. We featured mailbags, "Ask the Host" type segments, as well as a subscription-based broadcast email product featuring upcoming game information and recent headlines. 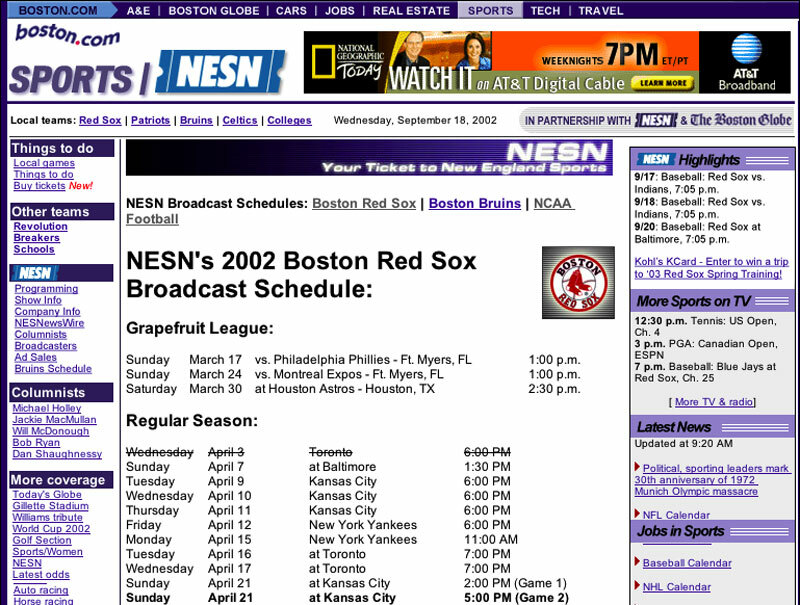 Later, NESN.com was merged with Boston.com, the online home of the Boston Globe. In this new arrangement I served as the NESN liaison to Boston.com and was responsible for all NESN content and its incorporation and assimilation into the much larger vehicle of Boston.com.